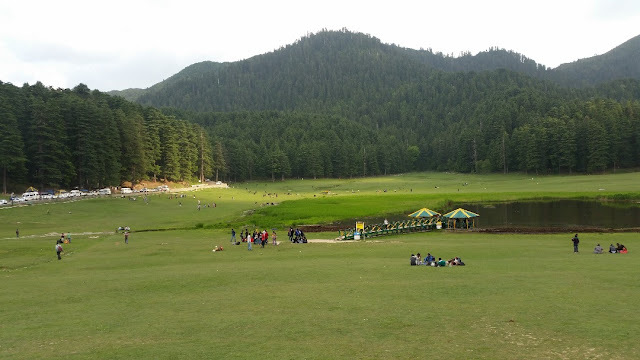 As I was researching my next trip to Himachal, a friend had suggested that a visit to a place called Khajjiar is a must, as there is hardly any place with similar scenic beauty in India. On researching the place on the internet, I came to know that the Government of Switzerland has awarded Khajjiar the name “Mini Switzerland”, as this place has a striking resemblance to that country. 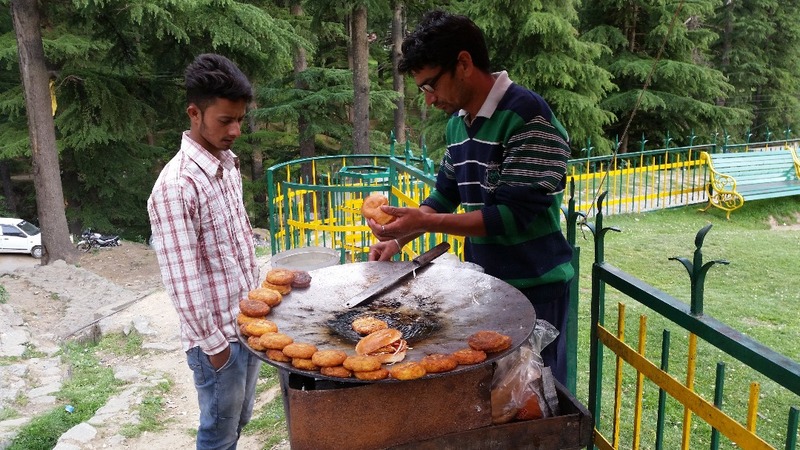 My curiosity was aroused, and thus Khajjiar became my first stop for my latest trip. It was the later part of April, and we were travelling from Hyderabad (which was sweltering at 43 degrees) via Delhi. So, as we got down at Dalhousie at 9 am, the change of weather had quite an effect on us. After a breakfast of some tea and alu parathas from a nearby dhaba, we were ready to travel to Khajjiar just 25 kilometres away. 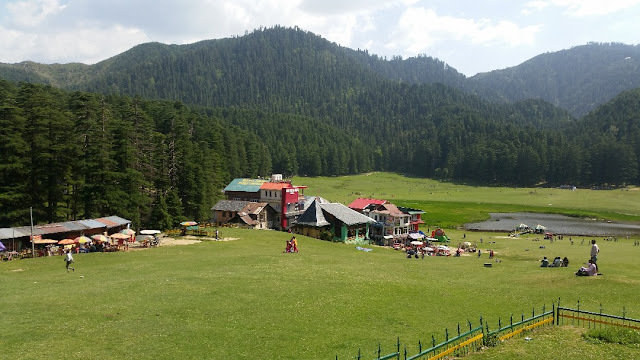 Khajjiar usually takes about an hour from Dalhousie, but we wanted to do some sightseeing on the way, so negotiated a trip to a few scenic points on the way. 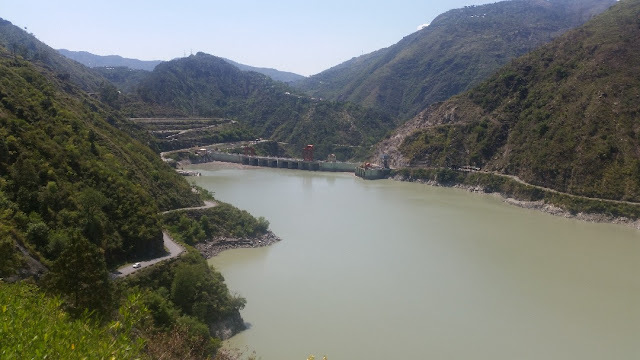 After Satdhara and Panchpulla near Dalhousie (both were nothing much to write about in April, possibly they are places to visit after the rains), we landed at Kalatop Wildlife Sanctuary. Kalatop is a detour from the Dalhousie-Khajjiar road, and you travel through some really thick forest of pine trees. There is a Forest Rest House on the top, where you can spend time, they even have accommodation for staying. 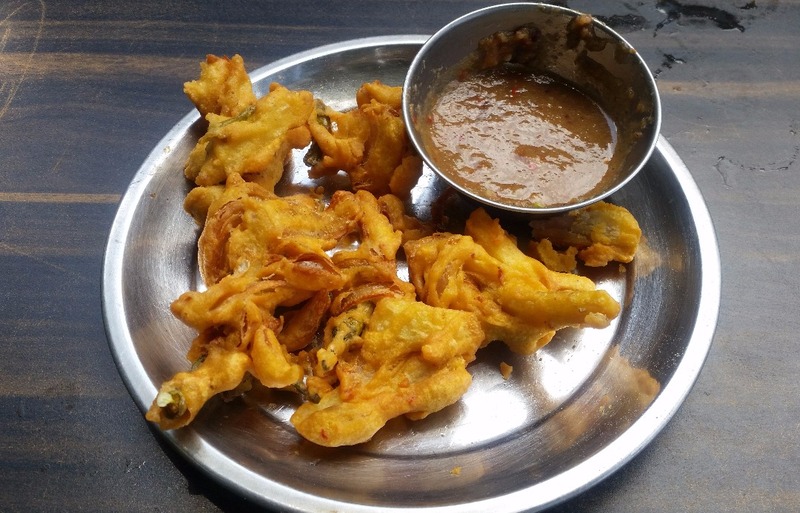 We decided to enjoy the scenery from the open canteen munching some hot pakodas with tea. Our next stop was Daikund Peak. At an altitude of 2750 meters, the hilltop is a one hour climb from the car parking. But it is really worth the tiring journey due to the stunning valley view you have all round. 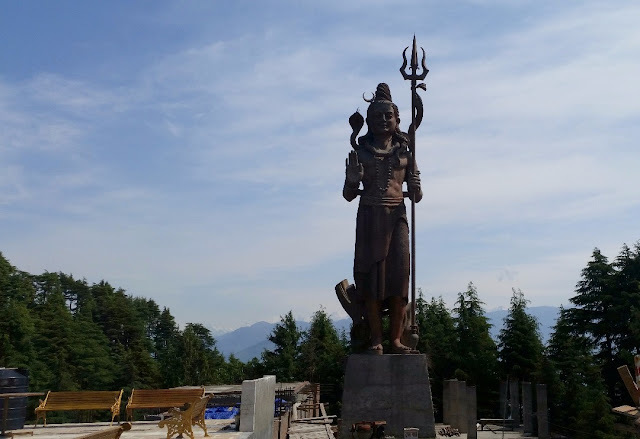 There is also a temple there which one may choose to visit. 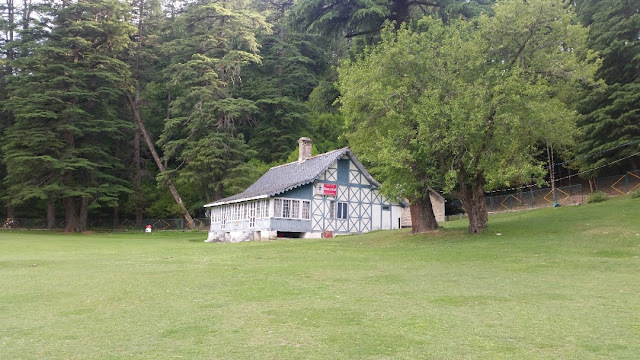 We reached Khajjiar around late afternoon, and the first look at the place was sensational. A lush green meadow had the Khajji Nag temple at its centre and is surrounded by tall deodar trees on all sides. The small lake in the middle, known as Khajjiar Lake is not so impressive. The HP Tourism hotel where we stayed, aptly called Hotel Devdar, was at one corner of the grasslands. 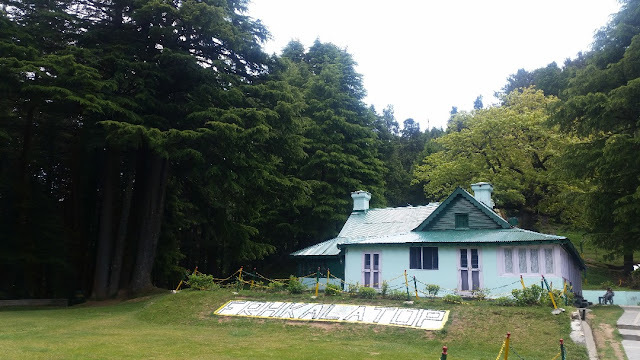 Next to it was a board highlighting the fact that the Government of Switzerland had recognized Khajjiar as the mini Switzerland of India, as it has a topological resemblance to the meadows of that country. Khajjiar is definitely nothing like I had seen earlier. You have a pasture, lake and a forest all in the same place. One end of the meadow offers a view of snow clad Pir Panjal range above the deodar trees. Himachal Tourism has a cute cottage (named Khajji Cottage) at this best point of the place. There were many activities on the Khajjiar. A number of people approached us offering horse rides or photography dressed in ethnic Himachali dresses. 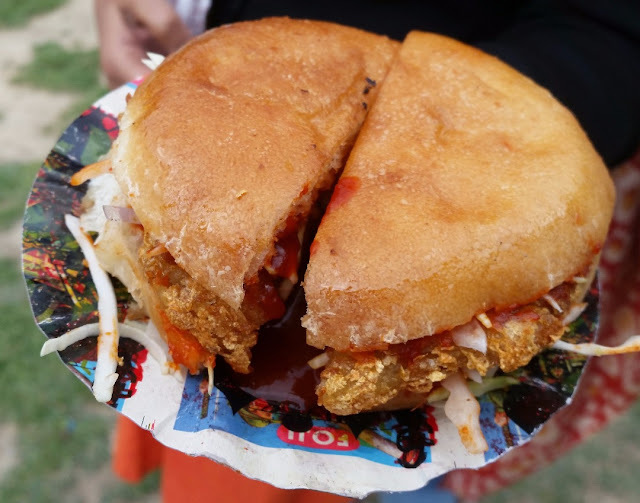 The restaurants were serving stuff like Chana Bhatura and Chhole Khuche, but we decided to satiate ourselves with some street food from a guy selling vegetarian tikiyas in a bun with some chatpata chutney. Khajjiar is a place for you to explore and discover. If you leave the meadow and walk down the road near the taxi stand you come across breathtaking views of the Pir Panjal range. Our favourite spot was the Shiv temple, a kilometre off the bus stand. 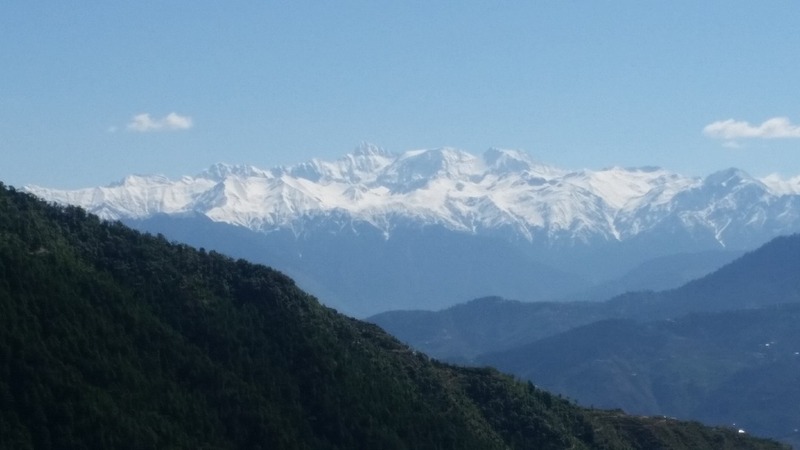 Go past the huge statue of Lord Shiva and at the next bend you get the best view of snow peaks. 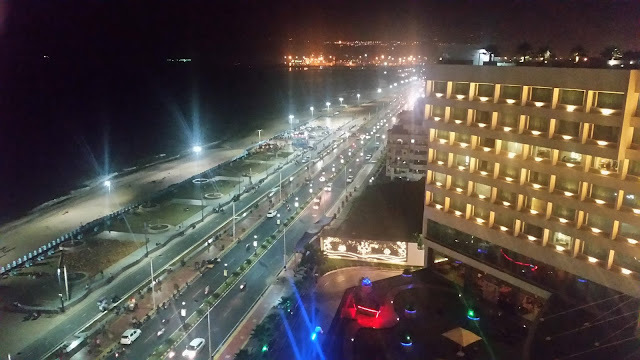 A budget hotel named Hotel Sunil located just near it may not give you many amenities, but it is possibly the best place to stay for nature lovers. 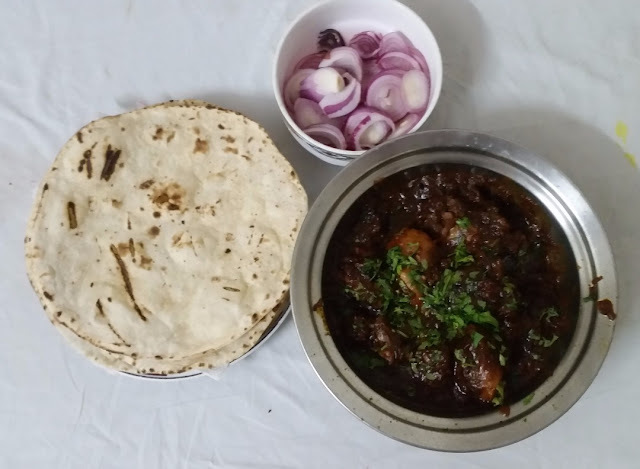 The food we tried at Hotel Devdar was essentially Punjabi. We looked around for some Himachali thalis but we were told that the cuisine in this part of Himachal is predominantly Punjabi influenced. The Chicken Rahra and the Butter Chicken at the hotel did not disappoint us. Next day we set out to visit Chamera Lake, about 50 kilometres away. The journey takes you up and down the hills and provides breathtaking views. 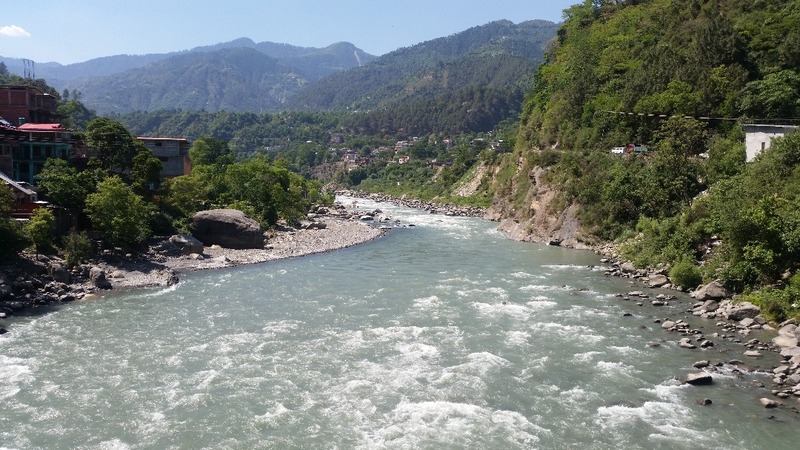 Near the town of Chamba, the road starts travelling along the River Ravi. Chamera is an artificial lake created for the nearby Chamera Dam, and the location provides some exquisite views of the valleys around it. Boating in the reservoir was fun too. 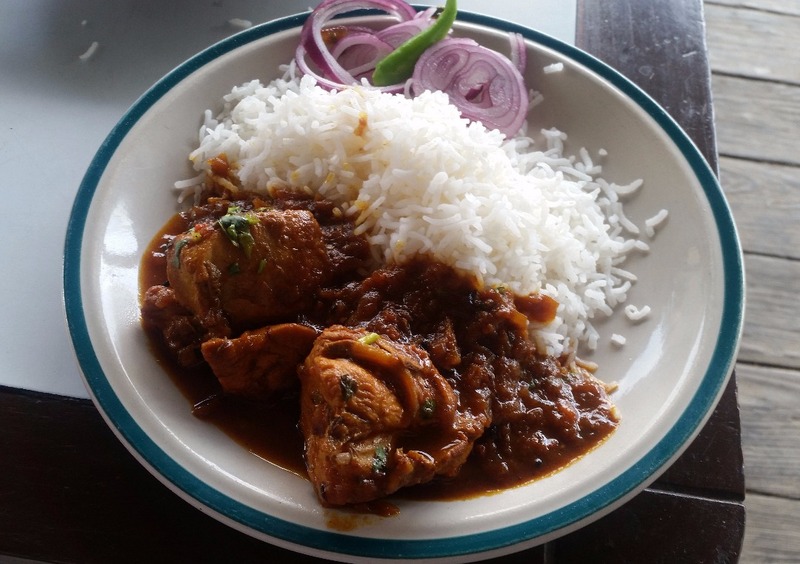 Just next to the boating entrance a dhaba serves some good comfort food – Kadi Chawal and Rajma Chawal. The rajmas here is of a different variety much smaller in size, and very soft when cooked. We picked up some rajmas for our home at Hyderabad. Dalhousie is just 25 kms away from Chamera. We checked into Hotel Manimahesh there late in the evening for our onward journey to Mcleodganj. Khajjiar must form an integral part of any trip to the Dalhousie-Dharamshala belt. In fact, I would advise that Khajjiar should be the hub to stay from where Dalhousie and all surrounding areas can be seen. One can travel by train to Pathankot and take a cab from there. Else air-conditioned Volvo buses of Himachal Road Transport ply from Delhi to Dalhousie. Khajjiar is about 20km from there. Access to Khajjiar during the winter months are often restricted due to heavy snowfall.